Getting into the world of business is a meticulous task, but so is getting out of it Whether you’ve just hit the ground running on your business or if you’ve been at it for a long time, there is no better time to plan your exit strategy than now. 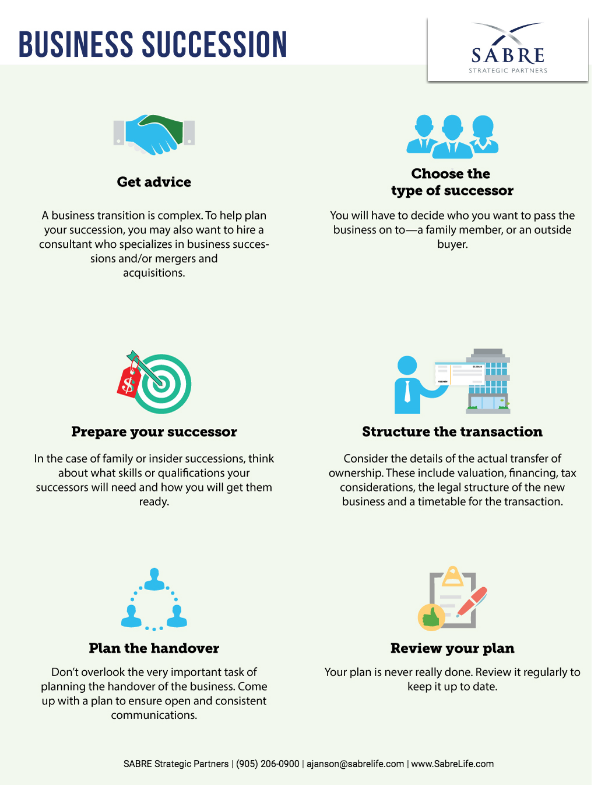 Although the process may seem taxing, we’ve answered a few questions you may have about planning your business succession strategy. 1. Who do I talk to about this? Deciding on how to go about the transition requires careful planning, and you need to consult no less than people who are well equipped to help you out. First, talk to your key advisors such as bankers and financial partners. You could also use some advice from your accountant and lawyers. If your company has an advisory board, better consult them as well. You may also hire a specialist or a consultant, depending on how you choose to go about your business succession plan. 2. Who should I choose as a successor? There are several ways to go about this, and your decision will ultimately be your personal choice. You may pass on your business to a family member or to your top executives or managers. You may also choose to sell it to an outsider. Whichever path you choose, you can also decide on how much you want to be involved in the business after you pass it on. That is, if you want to be involved at all. 3. When should I inform my successor about my plans? While a surprise inheritance may be heartwarming, it’s not the same with inheriting a business. Getting a successor ready—whether it’s a family member or someone from your company—requires careful planning and training. As soon as you’ve chosen a successor, better get started on getting them ready for the big shoes they’re about to fill. This includes helping them equip themselves with the necessary skills, knowledge and qualifications necessary to run your business. 4. How do I plan the transition itself? The transition will be twofold—transferring ownership and handing over the business itself. As far as transferring ownership is concerned, you need to consider legal and financial details. These include valuation, financing and taxation. You also need to consider if you wish to keep your current legal structure (corporation, sole prop, partnership, etc.) or if you (or your successor) would like to change it. You also need to plan how to prepare various stakeholders in the business for the transition. How will you prepare your customers, clients, and employees? What would be their level of involvement? Make sure that you put different strategies in place in order to ensure transparency and consistency in communicating changes in your business, especially something as drastic as succession. 5. Now that I have a business succession plan ready, can I go back to business as usual? Not really. Your business and your customers’ needs may change over time. This means that you need to keep reviewing and adjusting your plan as your business also evolves. Sole Proprietorship or Incorporation Do you REALLY need life insurance?